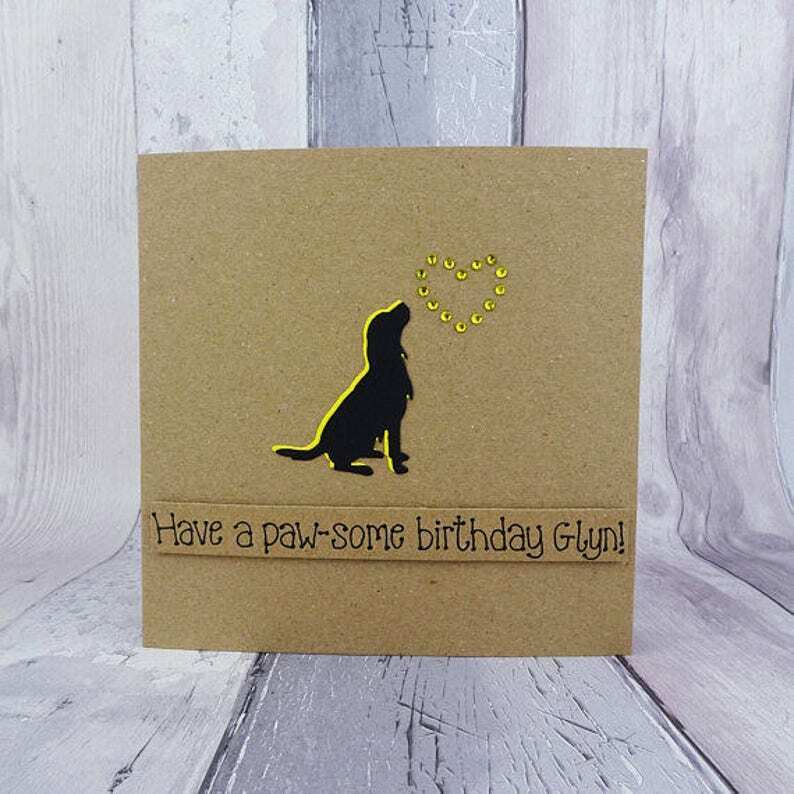 Handmade happy birthday card featuring a spaniel silhouette, which could be a Springer Spaniel, Cocker Spaniel, or other breed of dog. 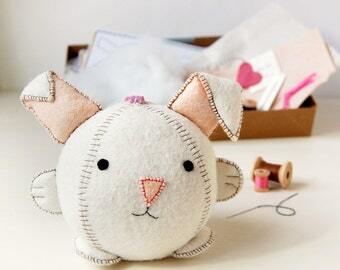 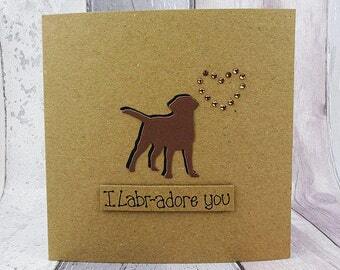 Above the dog are gems in the shape of a heart. 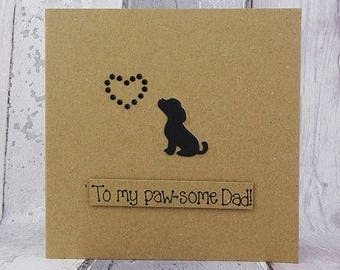 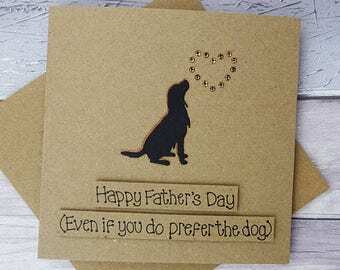 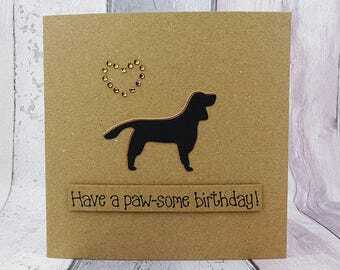 This handmade pun card has the black shadow of a spaniel sitting happily, with gems in the shape above the gun dog. You can choose the colour of the gems from the drop-down menu. 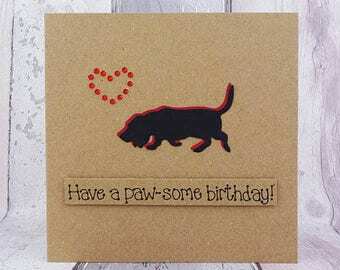 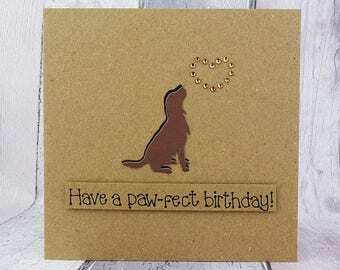 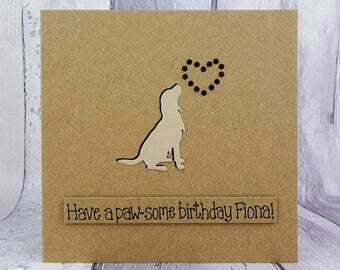 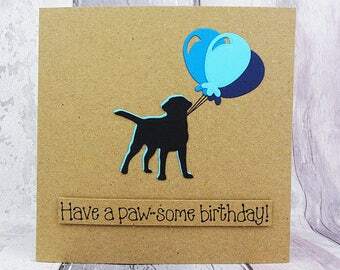 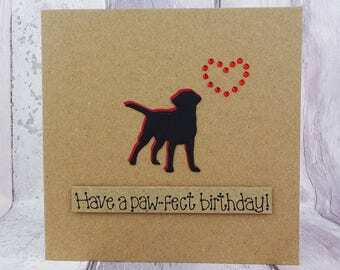 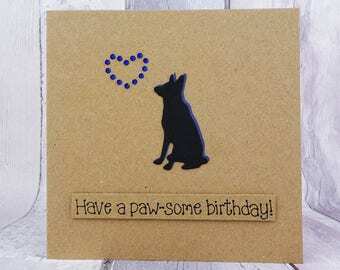 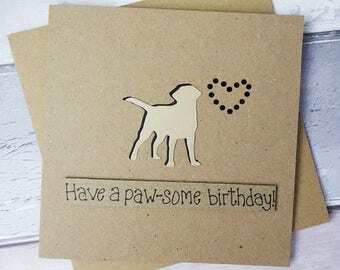 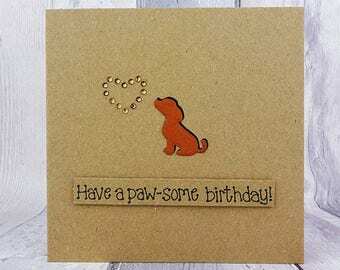 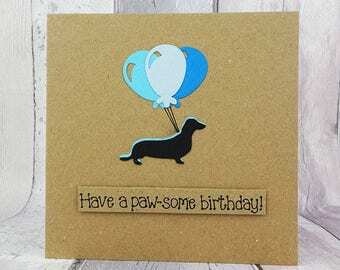 The sentiment on this pun birthday card is added with 3D foam and reads: Have a paw-some birthday! 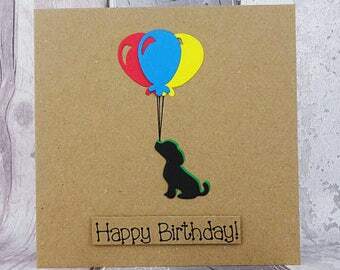 You can choose other messages, personalise the card with a name or age, or even add a custom message from the drop-down menu. 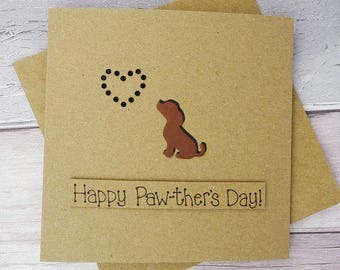 Lovely card, beautifully made, really pleased with it.